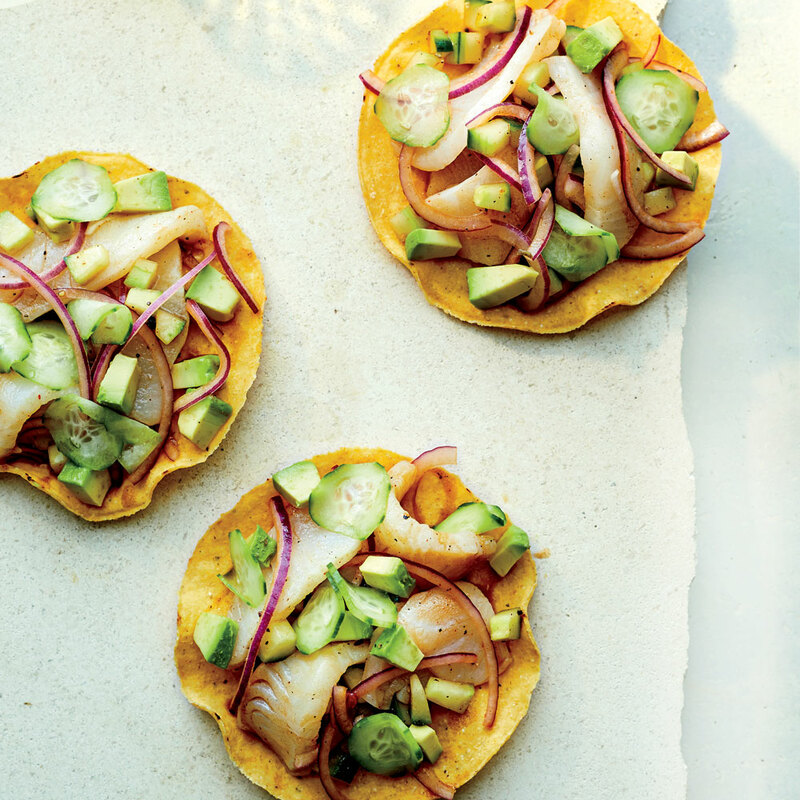 Make summer count with these fun, fresh recipes that utilize the best of August produce, from heirloom tomatoes to berries and stone fruits. Justin Chapple’s ice pops are made with prickly pear, the fruit that grows on cactus plants. Just be careful when scraping off the thorns! 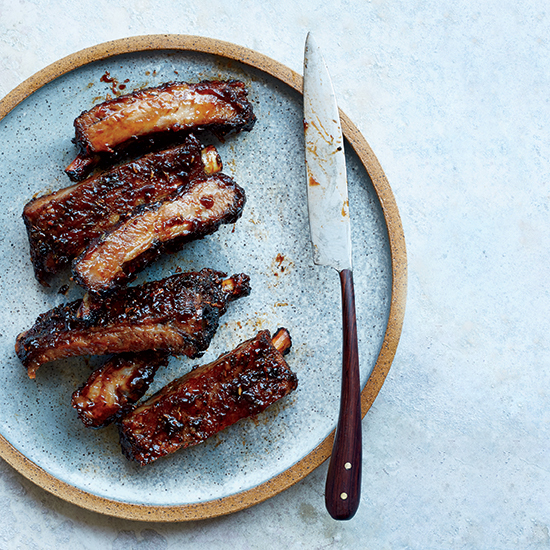 Summer is for eating ribs, and these babies with balsamic barbecue sauce are sure to be your new favorite. Using a salt-and-ice brine here gives the sea bass a truly creamy texture reminiscent of scallops. It’s a technique that could work on all kinds of seafood. 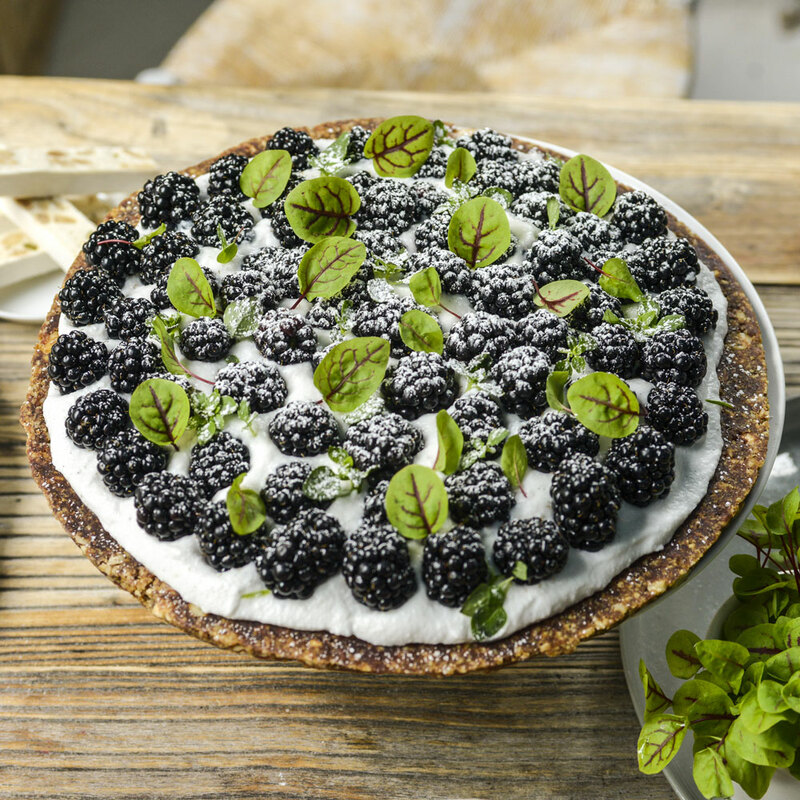 The secret ingredient in this beautiful berry tart? Dates! The sweet fruit holds the crust together and creates a pretty marbling effect. 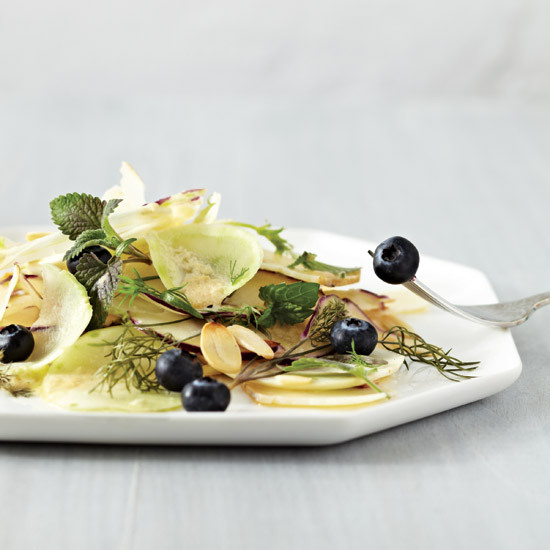 Stephanie Izard uses blueberries to top this summery kohlrabi and fennel salad. The ingredients are tied together with a dressing made of condiments that might not ordinarily go together, like soy sauce and maple syrup, but work well in this dish. While Jamie Bissonnette makes his own orecchiette, we recommend saving several steps and just buying a box. For when you’re sick of caprese salads and eggplant parm, this elegant gratin is the perfect dish to try out. 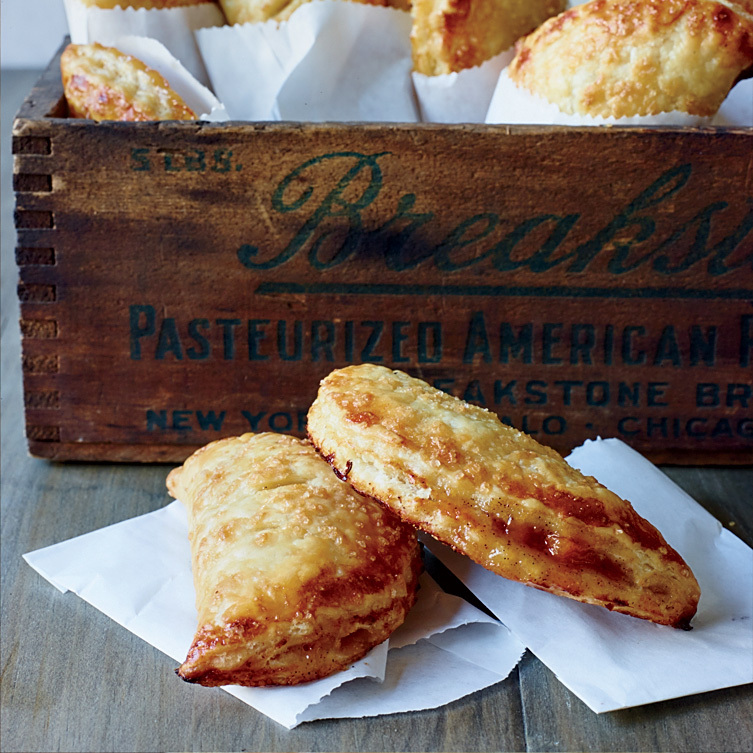 Why make a peach pie when you can make peach hand pies? These babies are as fun to whip up as they are to eat. 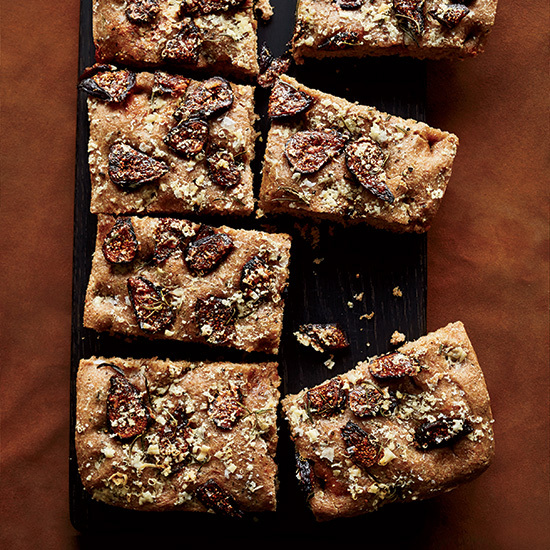 Take advantage of summer figs with chef Marco Canora’s tasty focaccia. Rick Bayless frys white fish, like bass or cod, in a beer batter made with mustard, garlic, and oregano. 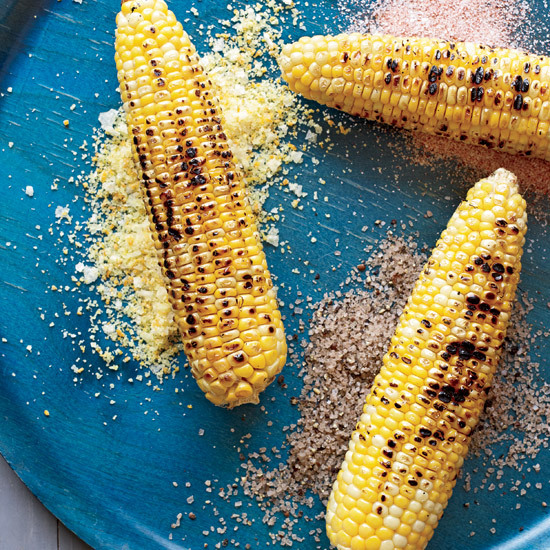 Take full advantage of summer corn with these grilled ears that Marcia Kiesel serves with three kinds of seasoned salts. 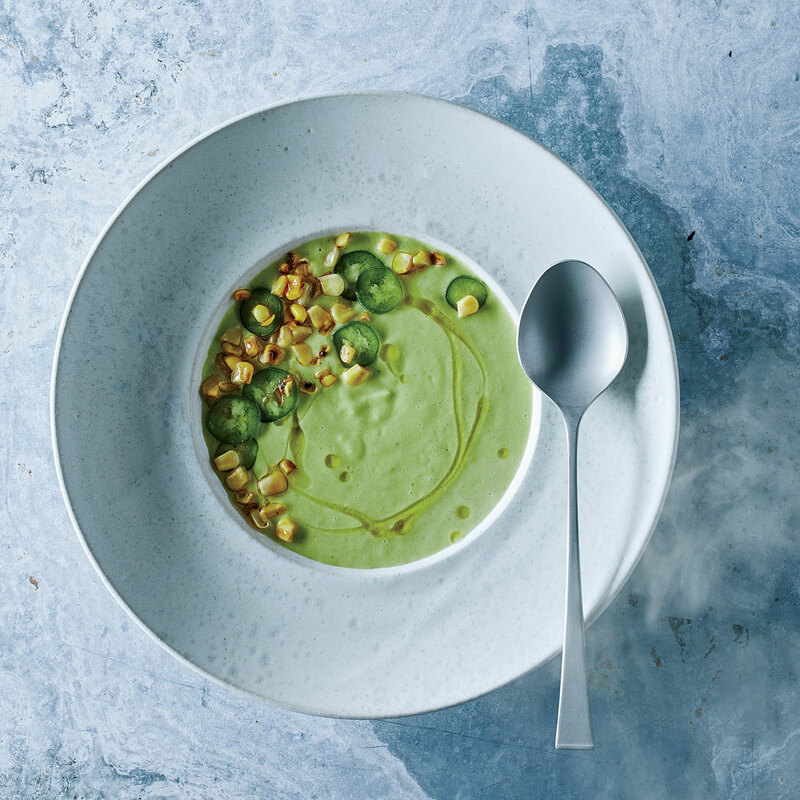 Spinach, jalapeños, and lime juice come together to compose this silky green soup topped with kernels of sautéed corn. 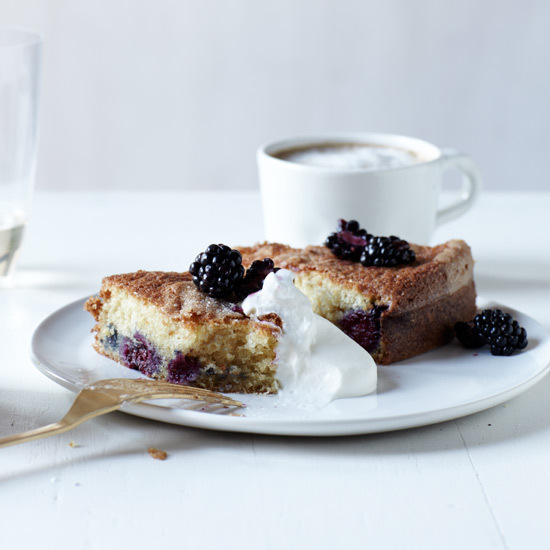 This cake just proves that buttermilk and blackberries were pretty much made to go together. Top with a dollop of homemade whipped cream for even more sweetness. 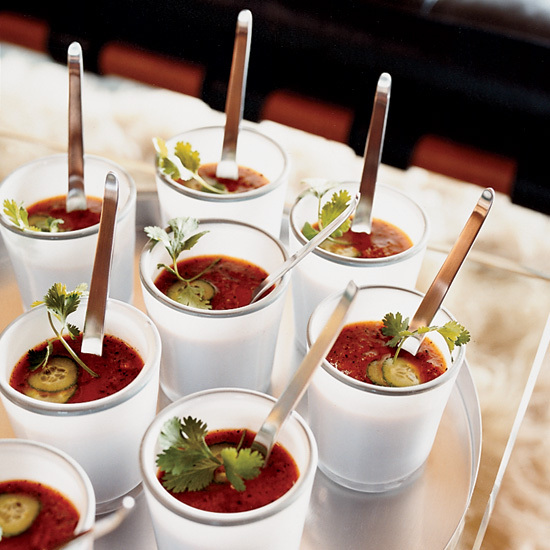 Instead of the typical gazpacho made with raw tomatoes and onions, chef Kerry Simon grills his vegetables before transforming them into liquid form. 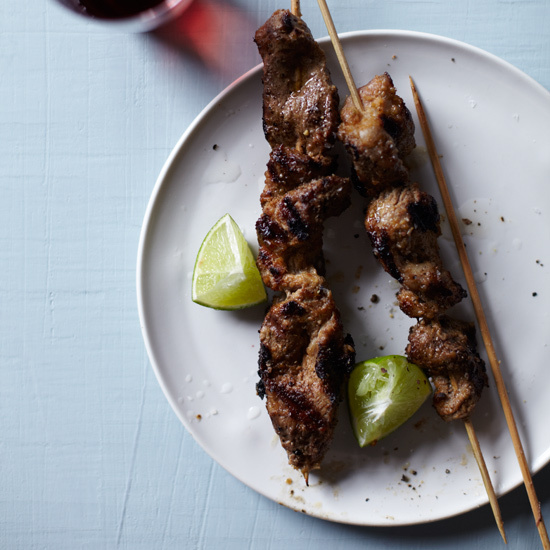 Chef Bryant Ng’s addictive pork satay is marinated in lemongrass and coconut milk. Potlikker is the liquid that beans and greens leave behind after they’re cooked. 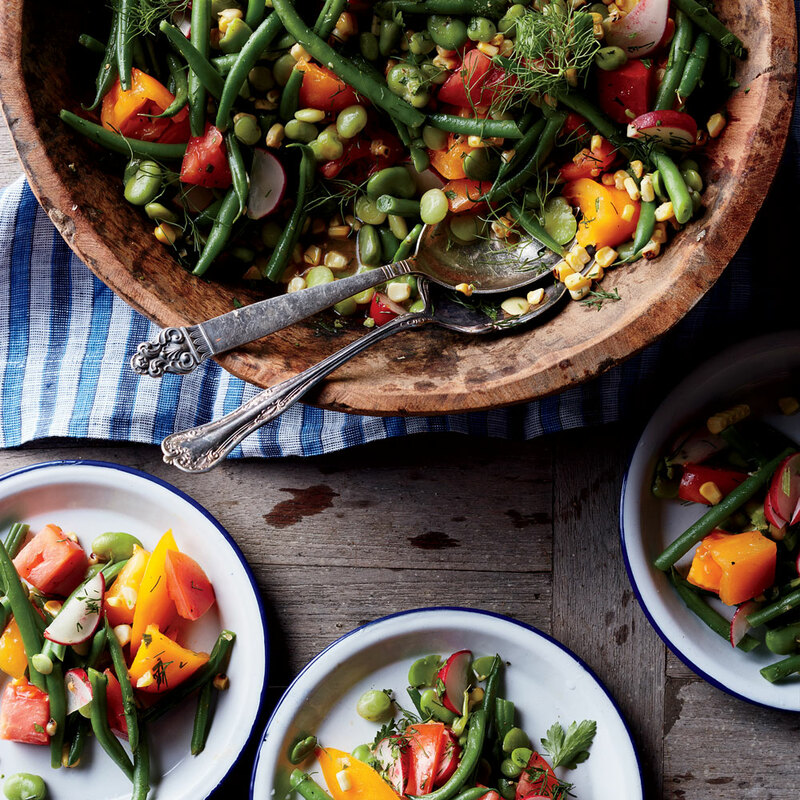 Chef Joe Kindred uses the leftovers to create a vinaigrette for a summer bean salad. 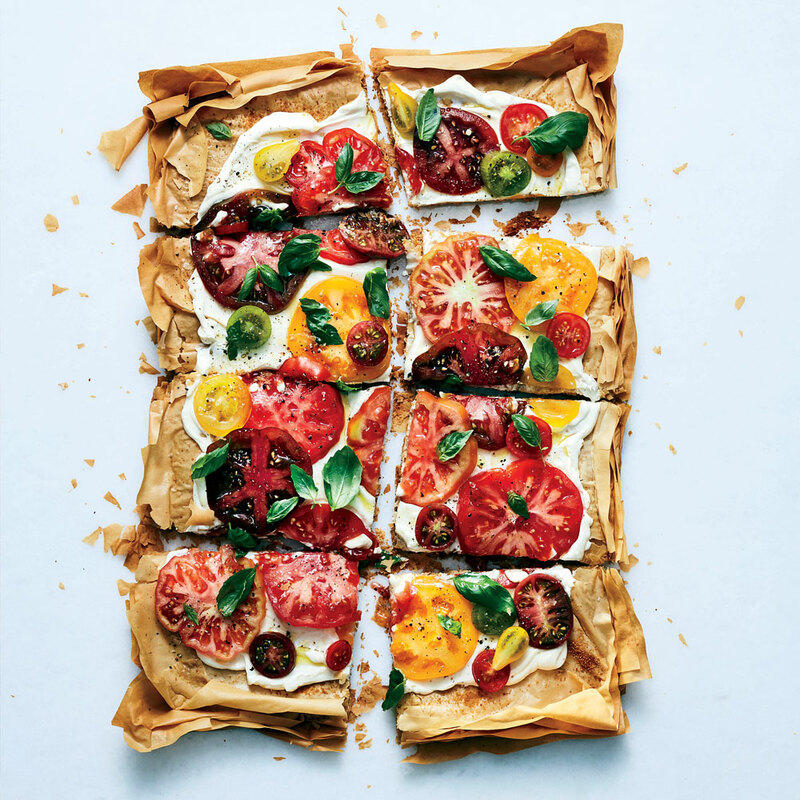 We all look forward to summer tomatoes, and with this beautiful tart, you can make use of all the shapes, sizes, and colors. 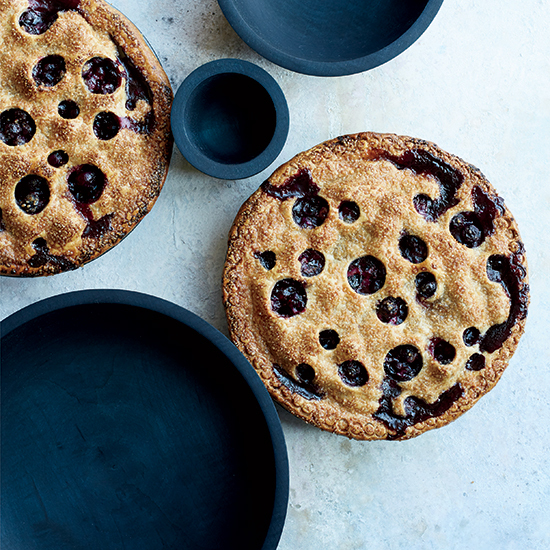 Justin Chapple’s stunning blueberry pie is sure to make jaws drop. Dinner guests will never want a lattice-top pie again! 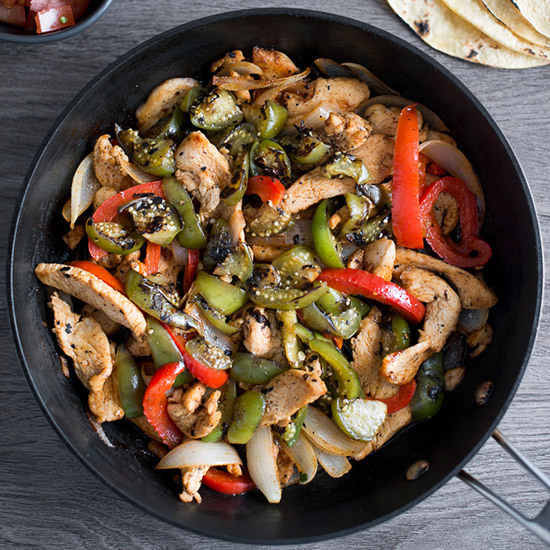 These flavorful fajitas from Todd Porter and Diane Cu, the couple behind the cookbook Bountiful, are a fun way to amp up summertime weeknight meals. No ice cream maker required for this nutty-meets-fruity custard-based dessert. 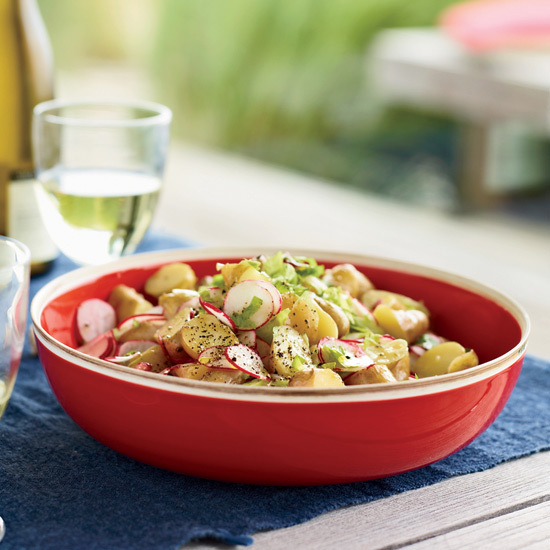 Chef Ethan Stowell’s potato salad is crunchy (thank you, radishes and celery) and just tart enough to be balanced, due to the Champagne vinegar. 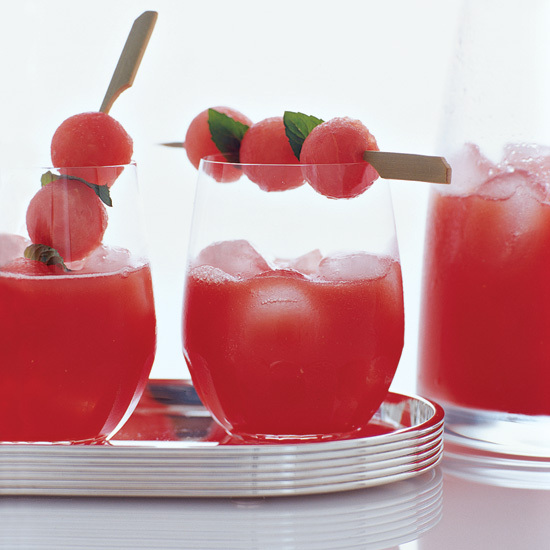 You can’t let August go by without eating fruity drinks outside somewhere, and Andrew Zimmerman’s watermelon sangria is the ultimate boozy treat. 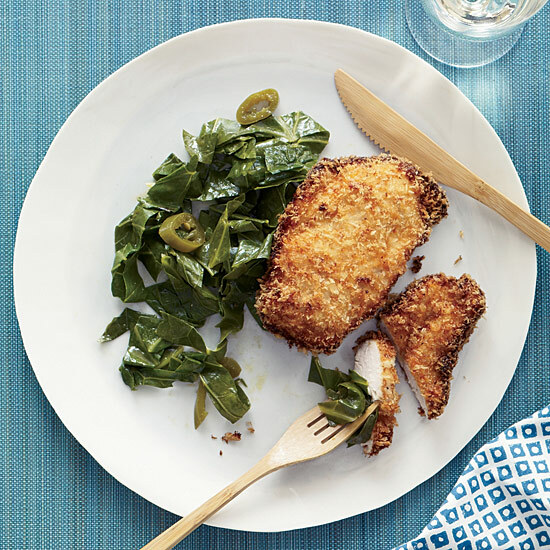 Marcus Samuelsson’s sweet coconut chicken has the perfect amount of tang when eaten together with the pickled pepper collards. Burgers are sooo July. 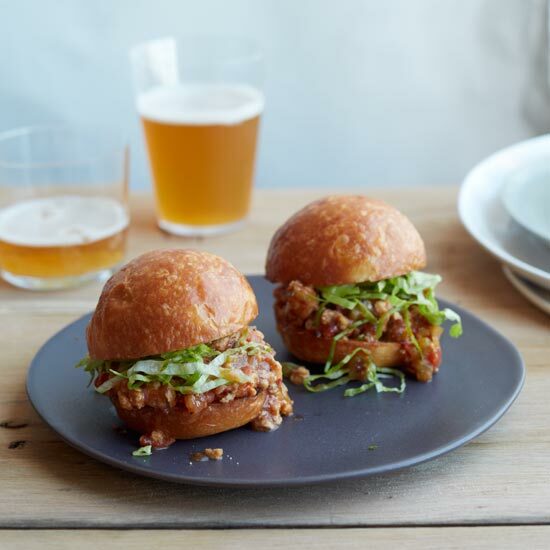 This August, try chef Ming Tsai’s spicy Asian spin on Sloppy Joe sliders. 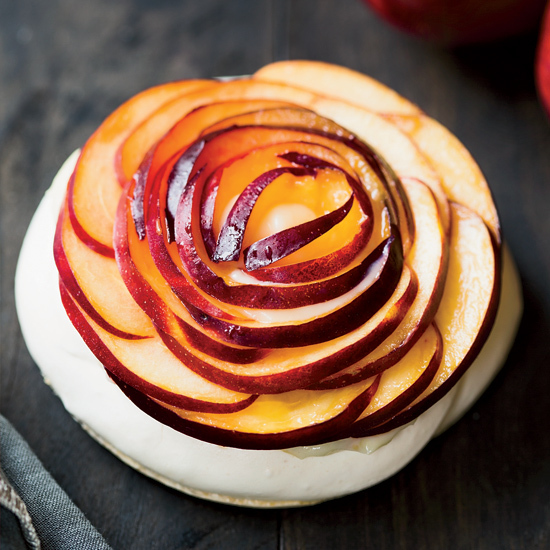 These fruit-forward desserts aren’t as complicated as they look, and they’re sure to impress dinner party guests. 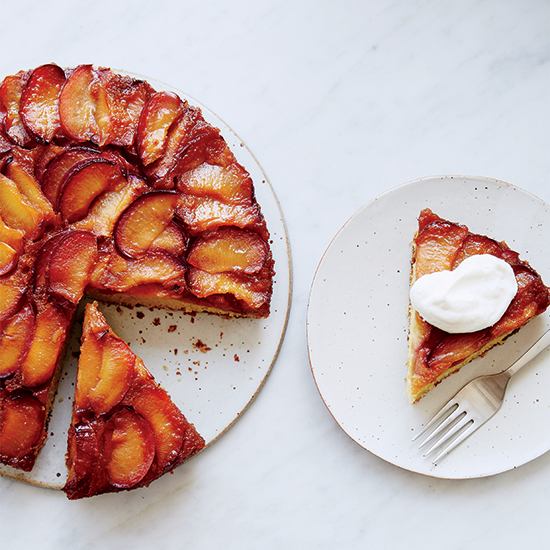 In this buttery upside-down cake, pastry chef Joanne Chang foregoes pineapples for juicy summer plums. 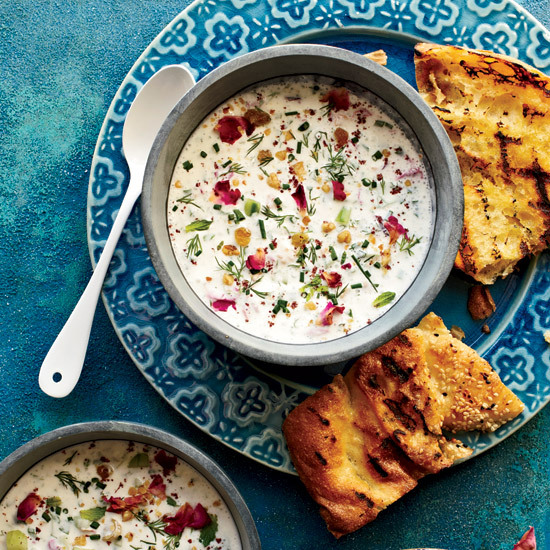 This traditional summer dish from chef Hoss Zaré is best served with grilled bread — perfect for dipping and dunking. There’s no wrong time for breakfast pastries. 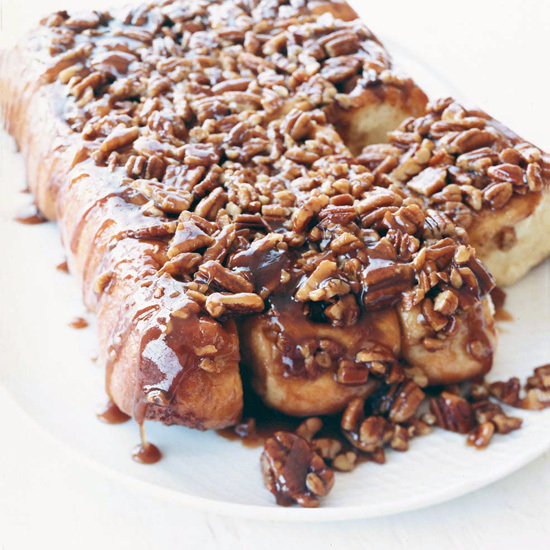 Food stylist Susan Spungen’s recipe yields sticky, fluffy pecan buns that are impossible to resist. 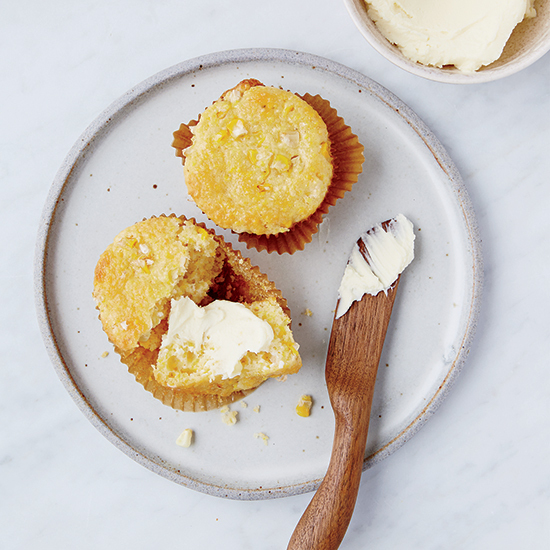 These corn-centric muffins make the most of summer produce and are a unique item to bring to any summer picnic. This isn’t just any tomato salad. 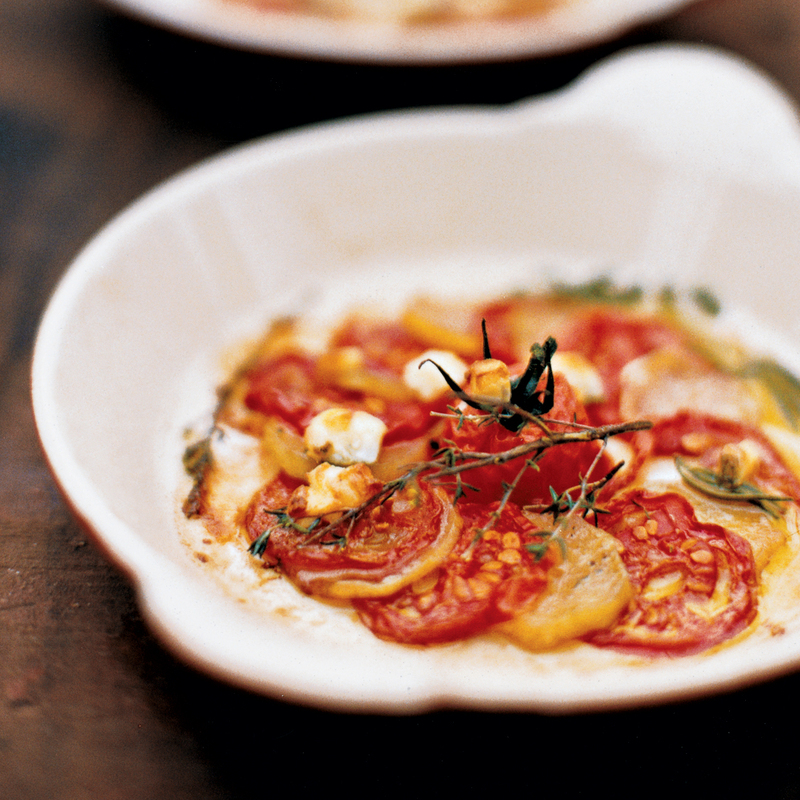 This is a tomato salad by chef Dan Kluger, owner of Loring Place in New York City, who is known for his incredibly flavorful vegetable dishes. 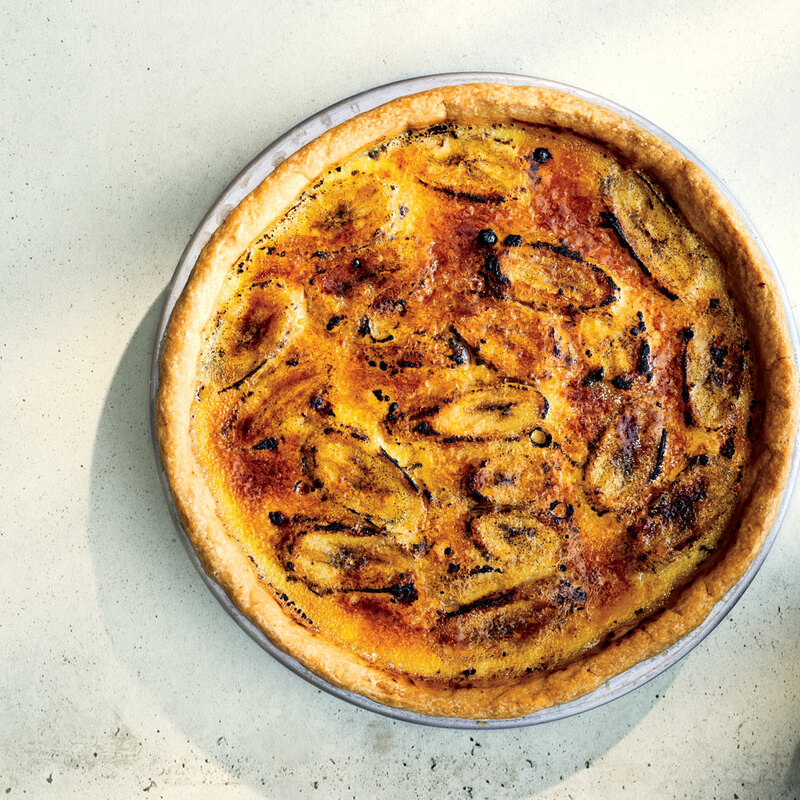 This tropical pie from Javier Cabral and Paola Briseño González in Yelapa, a small beach town a 45-minute water taxi ride from Puerto Vallarta, features caramelized bananas and vanilla custard. Yes, it’s as good as it sounds.